Tamaño de esta previsualización: 730 × 600 píxeles. Otras resoluciones: 292 × 240 píxeles · 584 × 480 píxeles · 935 × 768 píxeles · 1246 × 1024 píxeles · 1659 × 1363 píxeles. English: The first leaf of the Royal Charter of the University of King's College, granted 15 March 1827. 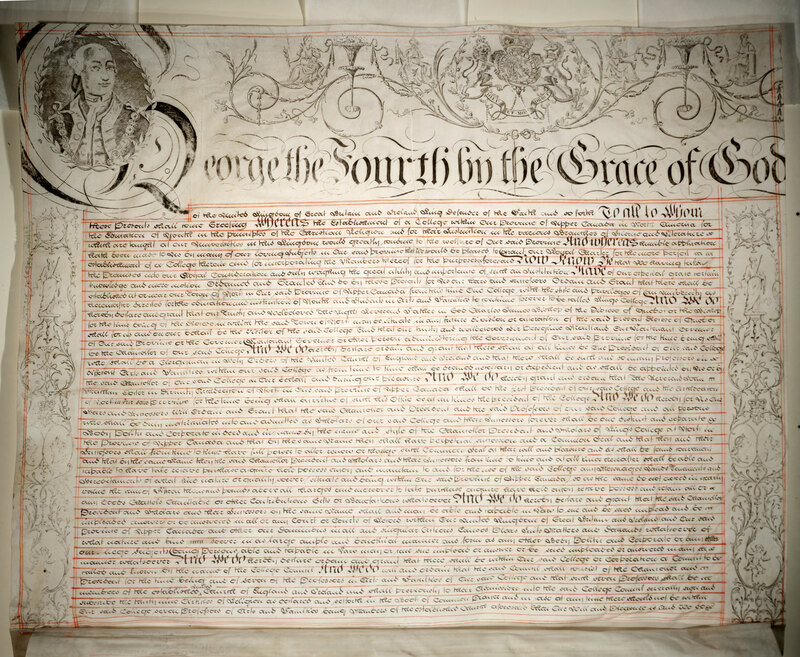 The charter was written on vellum and included an image of the reigning monarch, George IV.